The Classic Mini Comeback: Is It Time to Let Yours Go? You’ll remember the rebirth of the Mini (the classic one) 2000-2005. Built by BMW, it was the great British facelift with some good specs to boot. Of course, they weren’t without their weaknesses, so here’s a quick look at the good and bad points of the early 21st century Mini. All Minis were front-wheel drive, and powered by a transversely mounted, four cylinder, 1.6 litre Tritec engine. For the Mini One, this translated to 90bhp, a top speed of 115mph, and the ability to reach 0-60mph in 10.5 seconds. A variation, the Mini One D, was released in 2003 with 75bhp, a 0-60mph rate of 12.9 seconds, and a top speed of 110mph. Meanwhile the Mini Cooper enjoyed a cool 115bhp, reaching 0-60mph in 8.7 seconds and boasting a top speed of 118mph. The Mini Cooper S was a different beast altogether, with a straight four 16-valve engine and Eaton M45 supercharger lashing out a zippy 168bhp. The governor-limited top speed of 135mph, and a 0-60 mph time of 7.4 seconds, became major selling points. 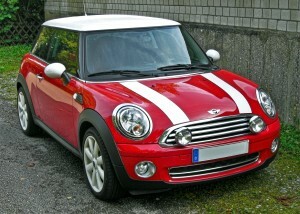 The Mini One and Mini Cooper initially offered continuously variable transmission, with conventional five-speed manual transmission offered between 2002 and 2004. The Cooper S and One D upped the ante with a six-speed Getrag manual transmission. Reviewers frequently praised the smoothness of the gearbox, but many drivers have encountered serious transmission failures. This seems to get worse with age, and with transmission replacement costing up to £4,500 you’re probably better off scrapping your Mini. Mini hit a clever stroke with handling, with all four wheels placed as far into the corners of the car as possible. Minis are meant to feel tight and fun, but pay attention to any pull to the left, as this could mean your front suspension turrets have been knocked out of alignment. As responsive as the Mini’s power steering is, there are some serious issues in all Minis built between 2001-2007. After a spate of sudden power-steering pump failures, a BMW spokesperson finally admitted that an electrical issue was causing the failures. While it’s normal to hear a whine from the power-steering column when idling, get your power-steering pump checked immediately if it gets too noisy. The Mini One’s official 45 mpg rating seems respectable but many Mini One owners report a less than impressive real rating of 28-30 mpg. The Mini One D similarly boasted 58.9mpg but some reviewers rated it at 34mpg on a leisurely drive. The Cooper and Cooper S come in at the same rate. If it’s time to let your Mini go, contact Scrap Car Kings today.